nce over one or two days at various locations around the UK (and occasionally abroad), usually at academic venues. The 2018 conference was held at Lancaster University, in parallel with the SfEP, to facilitate networking between members of the two societies., with SI President Sam Leith as the after-dinner speaker. Reports on conference sessions are available in the members’ area of this website. A Wakelet record of the conference, as recorded on Twitter, is here. The Society celebrated its 60th anniversary with a memorable one-day conference and gala dinner at St Anne’s College, Oxford, on Wednesday 21 June 2017 – the longest (and hottest) day of the year. This was immediately prior to the two-day symposium on the book index at the Bodleian Library, giving delegates a three-day feast of indexing at a very modest price. Reports on conference sessions and presenters’ handouts are available in the members’ area of this website. A one-day conference and AGM was held at The Studio, Birmingham on Tuesday 13 September 2016. Delegates travelling to Birmingham the previous day stayed in nearby hotels and met up on the Monday evening. Conference reports and lecture slides are available in the members’ area of the website. 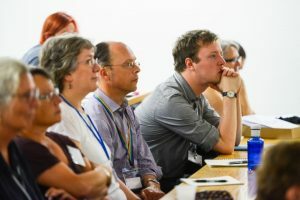 The first SfEP/SI joint conference was held at Derwent College, York University, on 5-7 September 2015, providing an excellent opportunity for our large community of copy-editors, indexers and proofreaders to develop their professional knowledge, network and socialise, alongside international delegates from both societies. 12 – 14 July 2013, Wyboston Lakes, Wyboston, Bedfordshire: conference reports are available in the members’ area. 11 – 13 July 2012, Mercure Brighton Seafront Hotel.